“Britain has set the bar high for ingenuity in design and it continues to surpass its own standards. Take the new London manufacturer/incubator D*Haus, whose convertible table pays homage to Henry Ernest Dudeney, the mathematician who worked out how a perfect square can evolve into an equilateral triangle. 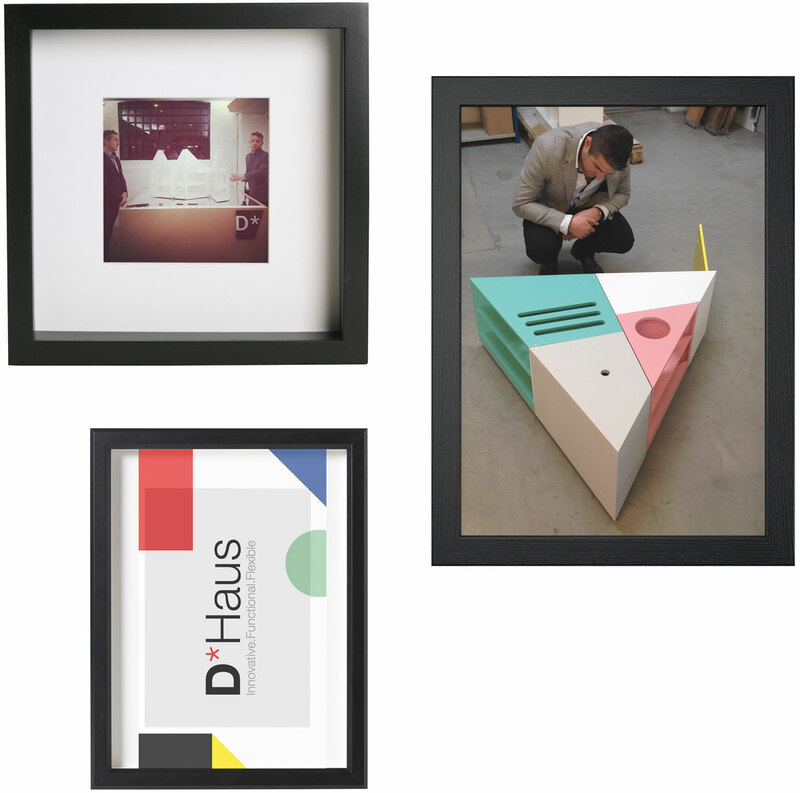 The D*Haus Company is an experimental design and architectural practice. We experiment by applying mathematical formulas to Architecture, Furniture and Lighting. Our practice draws inspiration from experimental mathematical formulae and the natural and built world around us. We believe every project deserves a bespoke architectural response. Successful buildings are not solely the result of good architects; a good client relationship is key to the success of our practice and the projects we undertake. We approach every project with an open mindset – by listening closely to our clients and by taking time to hone their priorities and ambitions through a process of testing, speculation and refinement – we treat the design process as an ongoing conversation with our client. As a practice, we take inspiration from related fields of industry, seeking out new technologies and construction methods to create conceptually unique buildings and interiors. Innovation is cultivated in the office through interrogating the physical limits of materials and through constantly challenging ourselves to achieve our clients brief in new and challenging ways. We draw inspiration from the world of mathematics and art and believe every project deserves a bespoke architectural response. This approach is born out of a careful analysis of the relationship between the site, client aspirations and cost. Innovation and sustainability are key drivers in all the work we produce. 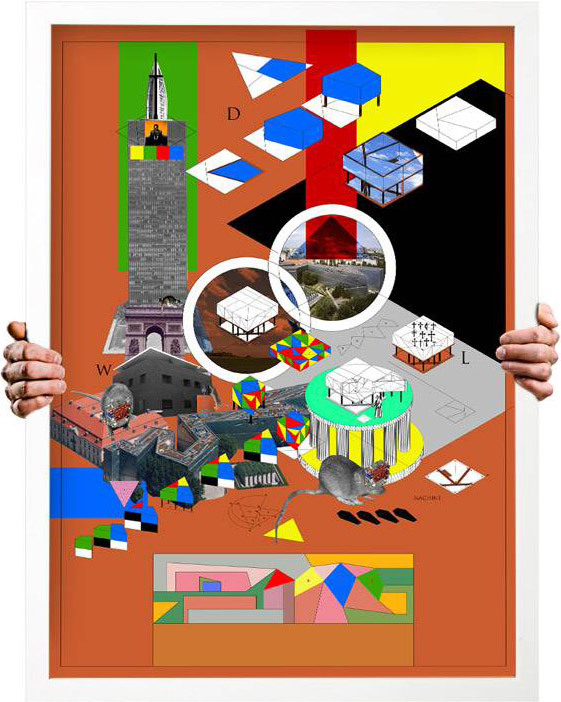 David is an Architect, Artist and graphic designer. He studied Architecture with Daniel Woolfson at the Manchester School of Architecture where he graduated with a First Class Honours. David went on to practice in the Middle East and London for a year before starting his diploma at the school of Urban Future Organisations (London Metropolitan University), where he graduated with distinction. Here he became very interested in parametric architecture and worked with international students giving workshops on the practice and theories of parametric architecture. In 2010 he joined Patel Taylor where he qualified as an architect in 2012 at the award winning widely respected practice and has worked on various projects of differing scales including the Lowther Primary School, Essex University Student Centre, Shell Centre and London Dock. Daniel is an Architect, Web Designer, Graphic Designer. Daniel studied his undergraduate degree at the University of Manchester, where he formulated a partnership with David Ben Grunberg. After graduating he spent a year in New York working for Carlos Zapata Studio before returning to London where he worked under Sir Terry Farrell. Daniel was selected for Farrells’ scholarship programme for his outstanding contribution to the office. He continued his studies at the University of East London where he travelled extensively in both China and Europe experimenting with themes of collective urbanism and parametric design. Returning to Farrells as part of the scholarship scheme, Daniel graduated as an Architect in 2011 and worked on a number of high profile projects including the Thames Gateway Strategic Vision, Earls Court Masterplan, HS2 Crossrail and Greenwich Peninsula Masterplan. A 2008 ‘Contemporary Furniture and Related Product Design’ graduate from BCUC Phi is driven by materials and processes. Working as the Technical Design Consultant for McD Marketing the UK marketing agent for DuPont Corian Phil was captivated by the formula whilst developing the Corian D*Table and D*Light for the 2011 100% Design exhibition. Demonstrating the versatility of Corian for collaborative exhibitions Phil’s products have been exhibited at key design events across Europe, London Fashion Week and the V&A Museum and worked on installations as far afield as Japan. Michael studied in Sheffield – BSC(Hons) in Web Information Systems and Services, but honed his trade in London and California before setting up on his own. Having worked for 6 years at one of the worlds most revered brands, building their product websites over multiple languages and often to very short deadlines, Michael is no stranger to the high expectations of clients. A combination of technical abilities and an aptitude for creative thinking are the ideal combination for The D*Haus’ Head of Digital. Maty Grünberg’s work appears in major museums throughout the world. Locations including the Jewish Museum NY, The New York Public Library, The Victoria and Albert Museum, The British Museum, The Israel Museum Jerusalem as well as many private collections. Vlad studied in France at Ensais Strasbourg before completing his Diploma in Architecture at The University of East London. He now works as a 3D Artist creating visually stunning imagery that captures the balance between concept and reality. Ronny holds an M.Sc. in Sustainable Energy Planning and Management from the Aalborg University in Denmark and a B.Sc. in Energy Engineering from the University of Applied Science in Leipzig/Germany. Having worked for more than 4 years within the area of renewable energy and sustainable development in Europe and Africa, he became highly capable to evaluate technological, legal and economic contexts and proved the ability to work in complex and multi-cultural environments. Resourceful, energetic, communicative, multitask and solution-focused, The D*Haus’ Creative Director.